We are dedicated to your Good Health and goal is to make you feel as good as you felt before the pain began! Thank you for considering our office for your Chiropractic, Spinal Decompression, Massage Therapy and Wellness needs. Hundreds of thousands of our patients have enjoyed a life that is painfree with weight loss and wellness. If chiropractic sounds promising, we encourage you to have a first hand experience at Romo Chiropractic and it’s easy to get started. You don’t need a referral from a medical doctor or anyone else to begin chiropractic care. Our knowledgeable staff can field most questions over the telephone. For you convince, we have new patient openings throughout the day and can arrange a consultation with Dr. Edgar Romo that works with your busy schedule. You can gives a call us (209) 571-1999 or schedule a appointment threw our web page portal. 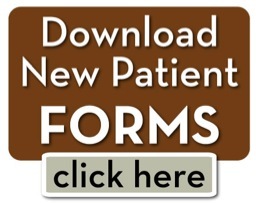 New Patient Forms - You will be asked to complete a patient history form. You can download the form and bring it with you. CONSULTATION - During your consultation, Dr. Edgar Romo will discuss your health related problems and concerns, as well as treatment options. Your first visit is designed to learn more about you, your general health, your specific condition and your expectations to determine whether chiropractic care will meet your goals. PHYSICAL EXAMINATION - After your consultation, Dr. Edgar Romo will perform a complete chiropractic examination which consists of: Range of Motion assessment, balance assessment, orthopedic testing and postural evaluation. DIAGNOSTIC STUDIES - Dr. Edgar Romo will determine if X-Rays, MRI, CT, LABS or any other diagnostic test are required for your care. FINANCIAL – We will review the office polices, review insurance benefits and answer any question you might have. TREATMENT - If appropriate, you will receive a Chiropractic Adjustment, Massage, Physiotherapy, or Spinal Decompression. We don’t feel you should pay an arm and leg for you first chiropractic visit, therefore we are offering a free consultation with no obligations.